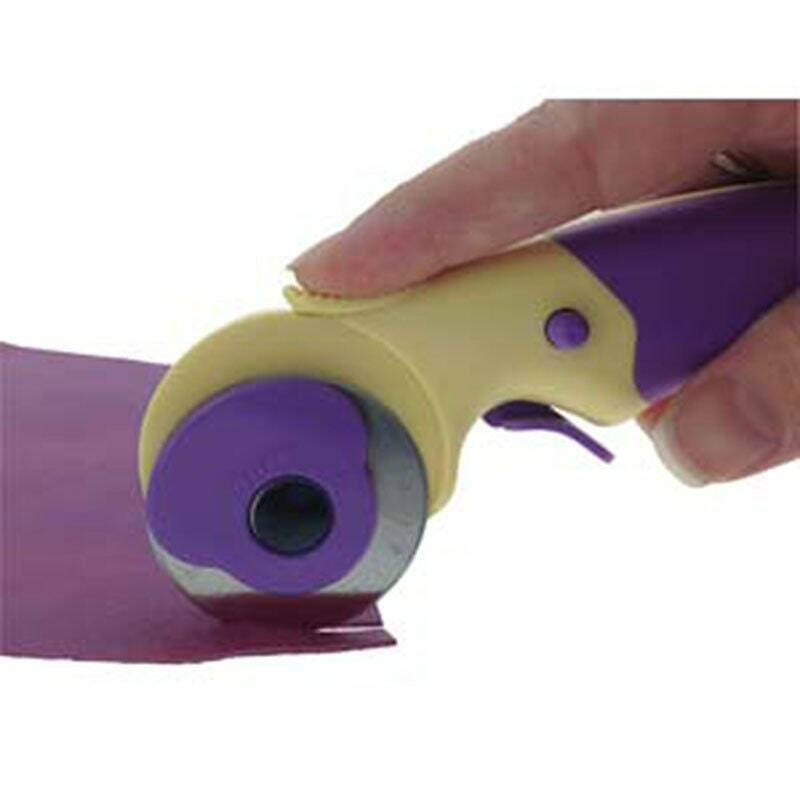 45mm Rotary Cutter cuts leather, fabric and paper. 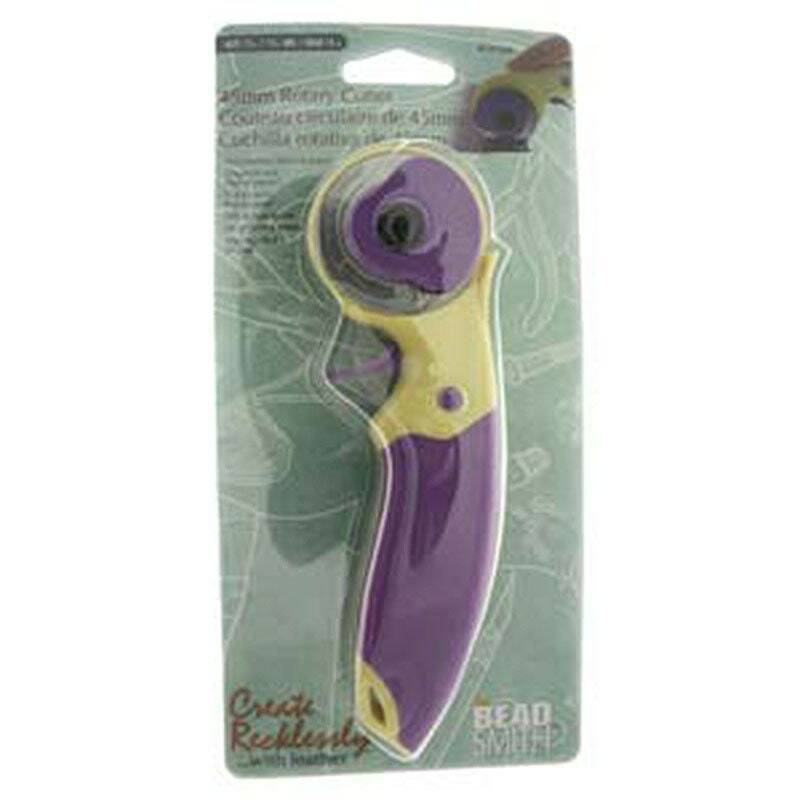 Use for scrapbooking, sewing, jewelry making, leather working. 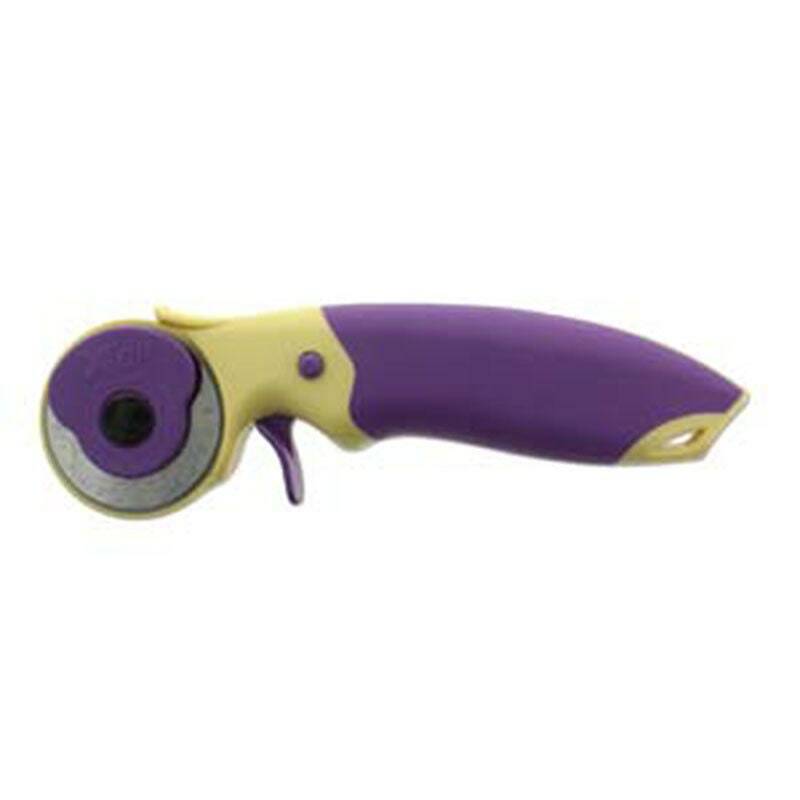 Cutter features a protective blade guard and locking device - trigger and lock must be pressed t the same time to engage the blade. For ages 15 and up.